We have two types of acoustics solutions the first one is our innovative metal jacketing solution. Initially developed for the oil and gas sector but now adapted for many other industries. The key concept is to take metal used for cladding this can be stainless steel, Aluminium, Aluzinc or pretty much any type of metal and factory laminate a layer of mass loaded vinyl (MLV). The result is a material that is still easy to form and install but with huge benefits from speed and ease of install to shipping. It helps maintain the integrity of the vinyl and usual offers improvement to performance compared to being applied separately. The second solution is a viscoelastic alternative to Bitumen to reduce vibration, the advantage is a cost effect solution with equivalent performance to Bitumen without the additional risks in terms of recycling and disposal or any health concerns. In addition we can supply products which are the same materials for acoustic applications but without the metal, these are especially helpful for areas that included complicated fabrications or for thicker steel applications. The barriers either for sound or vibration are supplied with a self adhesive backing for speedy and easy application. All materials are available in various density to meet the required standards and produced to meet DEB,CINI, ISO and ASTM standards. 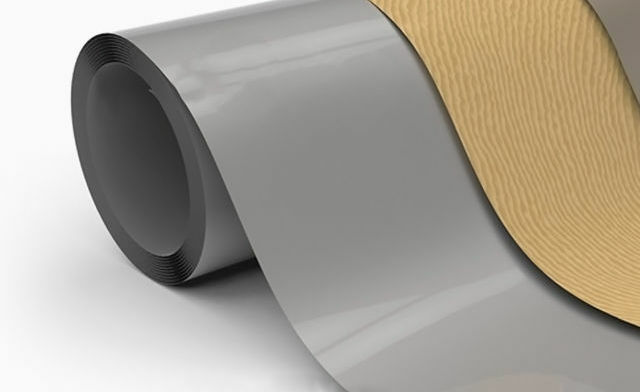 mass loaded vinyl is a flexible noise barrier.